The National Diving & Activity Centre will be open for Scuba Diving every day except Wednesdays throughout the School Easter Holidays. We will also be holding Easter Egg Hunts for the divers on Good Friday, Easter Saturday, Easter Sunday and the Bank Holiday Monday. There will be eggs hidden in and out of the water for divers to find and exchange for an Easter treat. 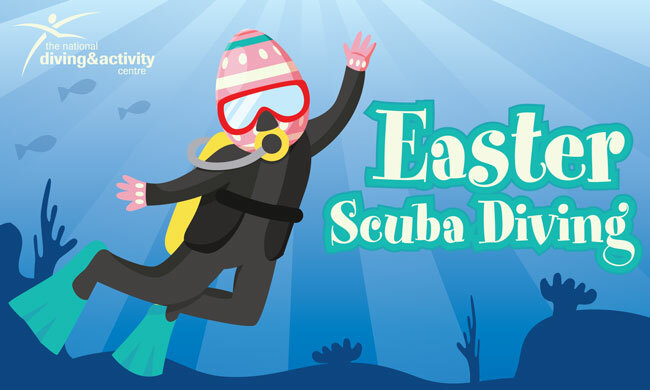 Please note that the egg hunt is aimed at scuba divers, rather than children. This entry was posted on Saturday, March 30th, 2019 at 12:39 pm and is filed under Chepstow, Easter, Local Information, NDAC Lake, opening hours, School Holidays, Scuba Diving. You can follow any responses to this entry through the RSS 2.0 feed. Both comments and pings are currently closed.